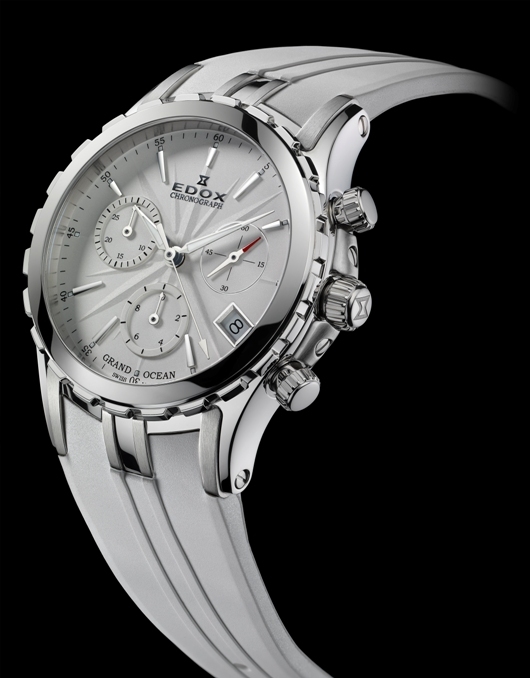 An Edox Grand Ocean chronograph is instantly recognizable with its triple-lug design and rubber strap, bezel flutings and embossed wind rose on the dial. 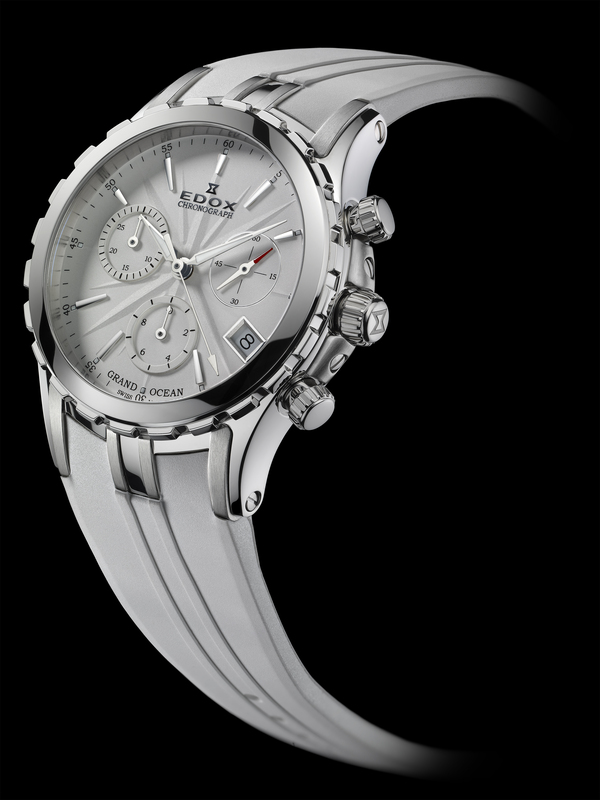 In March, Edox introduced a new Grand Ocean chronograph at Baselworld 2012 designed specifically for women: the Grand Ocean Chronolady. Like other Grand Ocean chronographs, the feminine silhouette of the Chronolady is equally unmistakable. The color of the dial is a soft snow-white accentuated by silvered hands and indices, and the ultra-feminine white rubber strap mounts smartly to the case composed of both brushed and polished stainless steel. The result is pure sport elegance. Even with the chronograph counters, the dial is well-ordered. Other than white and black, the only hint of color is a spot of red on the tip of the perpetual seconds hand. 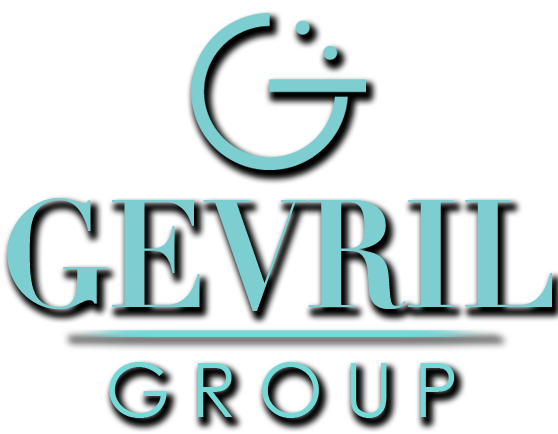 The silvered hands are coated with luminous paint and small luminous dots appear on the hours. Fine touches include small fillets that accent the hands of the chronograph counters and the silvered frame that outlines the date. Comfort is essential to the Chronolady’s allure. The white rubber strap is soft and pliable, the stainless steel double-folding clasp allows for quick sizing adjustments, and two keepers ensure the tail of the strap remains snug and secure for a seamless fit. 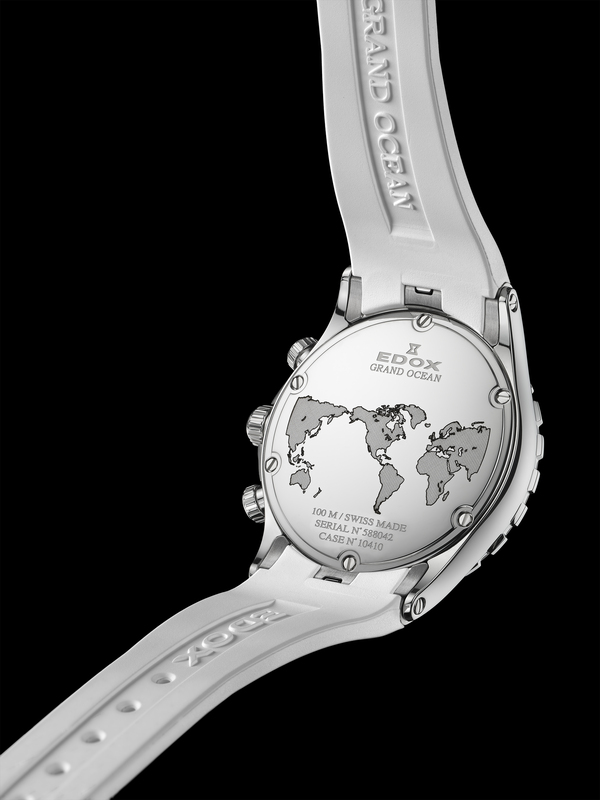 The caseback of the Chronolady reveals another detail – an engraved planisphere – that is shared by all Grand Ocean watches. 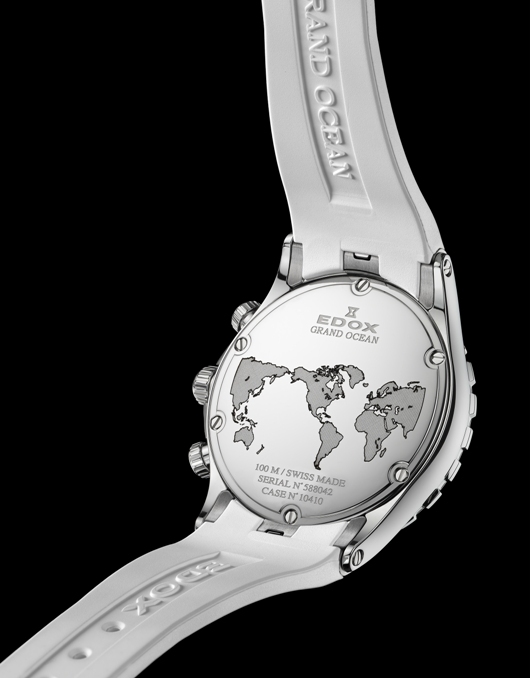 The planisphere is Edox’s traditional way of connecting its Grand Ocean watches to water sports such as yacht racing by alluding to the world’s navigable oceans and waterways on a map. The planisphere depicts the primary continents (excluding the Poles) with the land areas engraved with a grid pattern and the water areas represented by smooth, polished steel. 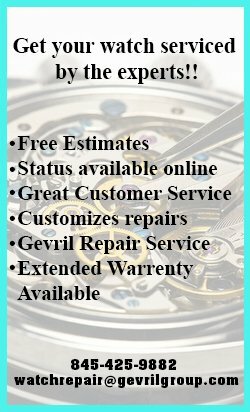 The Grand Ocean Chronolady contains a Ronda 5040.B movement for the best in Swiss accuracy, and six screws keep the caseback fastened and help ensure the watch’s water resistance to 330 feet. The Edox Chronolady is an essential addition to a modern woman’s watch collection with its stylish and versatile design, founded on traditional notes and refreshed with contemporary flair. Wear it for any leisurely pursuit or dress it up for more elegant affairs, the sporting spirit and élan of the Chronolady always shine through. The new Edox Grand Ocean Chronolady will soon be made available through your authorized Edox dealer.